FRISCO, Texas -- The Dallas Stars currently are on a 10-game point streak (9-0-1), a stretch where the lone game where they didn't get the full two points was Feb. 29 in a 4-3 shootout loss to the Penguins, a team on a strong run of their own. While there have been many reasons for the Stars' recent surge to the top of the Pacific Division standings, the stellar play of starting goaltender Kari Lehtonen has been a major factor. During this streak, the 28-year-old netminder has started eight of the 10 games, going 7-0-1 with a 1.46 goals-against-average, a .950 save percentage and two shutouts. He even picked up an assist during the Stars' recent road trip through Western Canada. Lehtonen's recent performance has put a smile on the face of Mike Valley, Dallas' goaltending coach. In the past, Valley has worked with current NHL netminders like the Wild's Niklas Backstrom, Brian Elliott of the Blues and Al Montoya of the Islanders. "He's just so focused," Valley said. "He's diligent with the things that he has to do each day to get ready to play. Whether it's a practice day or a game day, he's the first guy at the rink, getting himself prepared to go out and practice hard and play hard. He's just such a true professional." Lehtonen missed much of December with a groin injury, and when he returned there definitely was some rust in his first few games back. But from the start of 2012 he has been stellar between the pipes for Dallas. "You always want to get as comfortable as possible, and when you play a lot, it's a little bit easier," he said. "You're able to put a few good games together and that kind of carries over. If you let in an easy goal, that happens also, but you don't get too worried about those and just keep working. It's been going good so far. Hopefully we can keep it up." His strong play even prompted Stars first-year coach Glen Gulutzan to say recently that Lehtonen is among the elite goaltenders in the NHL, something Valley definitely agrees with. "For sure, you could see it even last year. He was arguably our top player and same thing this year. 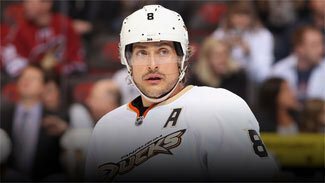 He's definitely a top-five guy in the League," Valley said. "He's still only 28, too, so he has the ability to become even better. I think that's the best thing about him, is he's willing to do whatever it takes to get better." And the numbers don't lie. As of Monday, Lehtonen was tied for ninth in the League with 28 wins and was 10th in goals-against average (2.26) and ninth in save percentage (.924). One reason for his recent success is that the Stars' goaltending situation is a bit more settled than it was at this point last season, when Lehtonen had to start 33 of Dallas' final 34 games as coach Marc Crawford had little faith in backup Andrew Raycroft. When Lehtonen was injured earlier this season, AHL call-up Richard Bachman outplayed Raycroft, and when Lehtonen returned, Bachman stayed and Raycroft was sent to the AHL. Bachman has also done his fair share of work during the Stars' current streak, going 2-0-0 in his two starts with a goals-against-average of 1.50 and a .948 save percentage. Having such a dependable backup definitely has helped give Lehtonen some much-needed peace of mind, especially heading into the final weeks of the regular season. "It helps a lot and it helps everybody in this locker room. He (Bachman) has been working hard and playing great. I think that's a great situation," Lehtonen said. "You always want to have two goalies that are playing well, and I think that's a great thing we have. Both of us need to keep going. You can have a couple bad games easily if you're not focused, and this time of year that cannot happen." He and Bachman have developed a close relationship, one clearly built on mutual respect. "He's been playing unbelievable hockey all season. I think especially in these last three, four weeks here, it seems like he's stepped up his game," said Bachman, who is 8-3-1 in 15 games this season. "But the biggest thing, I think, is he just competes every night. He's relaxed, composed, and he's making key saves and big saves when we need it. He's still competing, and I think that's what I've learned from him -- always compete." Another big reason why Dallas' top netminder has been so successful during this run -- and the team for that matter -- is that over their last 10 games, the Stars' penalty kill has stopped 30 of 31 opposing power plays. Lehtonen said having such a strong penalty kill definitely makes life easier for him. "It makes it easier," Lehtonen said. "We have a different mindset now than when we were struggling a little bit. We go there with the mindset that we can handle this. We don't panic, and I think that helps a lot. We don't get caught running around too much. We've been able to make it difficult for the other teams. I think that's great to see this time of year." Lehtonen said there is something he loves about being in the crease this time of season, as every point becomes more crucial and every game takes on a playoff feel. "It's a lot more exciting," Lehtonen said. "You're relaxed and excited at the same time. It's just hard to explain, but it's nice when this time of the year and you're fighting for a playoff spot with so much on the line every game. It just makes it special." Now in his eighth NHL season, Lehtonen has just two games of Stanley Cup Playoff experience -- with the Atlanta Thrashers in 2006-07. Like every player, though, he finds himself wanting more. "Every year it gets harder and harder when you're not in it," he said. "It's tough. In juniors and the minors, used to always go to playoffs and we were always right there trying to get the championship. Then in the NHL, it's been a lot harder. It just makes you want it so much more."